‘Contentious Probate Handbook – Practice and Precedents’, 424 pages including a CD-ROM, priced £79.95, published by the Law Society 1 October 2016 (ISBN: 9781784460600). 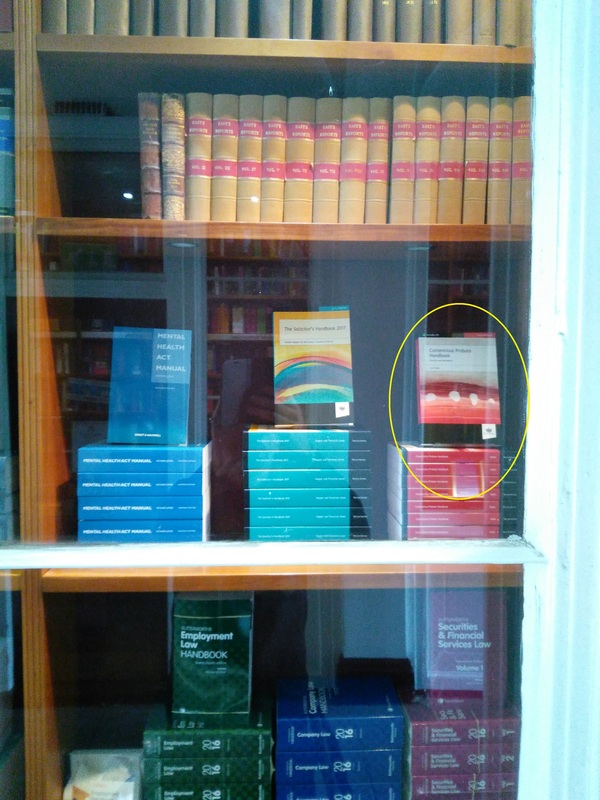 The photograph shows the book on display in the window of Wildy & Sons, on Fleet Street, in London. Book Review by Richard Dew, published in the June 2017 edition of the STEP Journal circulated worldwide (average monthly global net circulation July 2015 to June 2016: 19,757). “Bricks and mortar – the practical application of the residence nil rate band, including drafting issues and claiming the relief’, co-authored with Stephanie Churchill CTA and published in Taxation (12 October 2017) www.taxation.co.uk: LINK. “The Advocate and the Expert in a Testamentary Capacity Claim”, published in the Expert Witness Journal (Autumn 2015) LINK* (for the on-line version click this link). “Tax-Efficient Wills Simplified 2014/2015”, (360 pages priced £14.99), is available to purchase in the UK from Waterstones and Amazon. Previous editions have sold in Australia (where the book is in the National Library of Australia – http://trove.nla.gov.au/work/160076029), Brazil, China, Europe, South Africa, the Russian Federation, and the USA, and for posting outside the UK a copy can be purchased from Wildy’s – the world’s legal bookshop [http://www.wildy.com/isbn/9781852527396/tax-efficient-wills-simplified-2014-2015-paperback-management-books-2000-ltd], in Lincoln’s Inn and on Fleet Street in London. The book is also available on Kindle for immediate download – click HERE. To view the UK Number 1 bestseller ranking for the Kindle edition of the book (23.12.2014) please click HERE*. The paperback edition was ranked by Amazon as a UK bestseller at Number 5 in its genre (23.12.2014), and please click HERE* to view the ranking, and at Number 2 (22.12.2014), for most popular products ordered as gifts in the category of personal taxation, and to view the ranking please click HERE*. Book Review published in the Winter 2013 edition of ‘Light Blue Law’, the Cambridge and District Law Society Newsletter. LINK. Execution of a Will (Formalities). Singh & ors v Ahluwalia (2012). 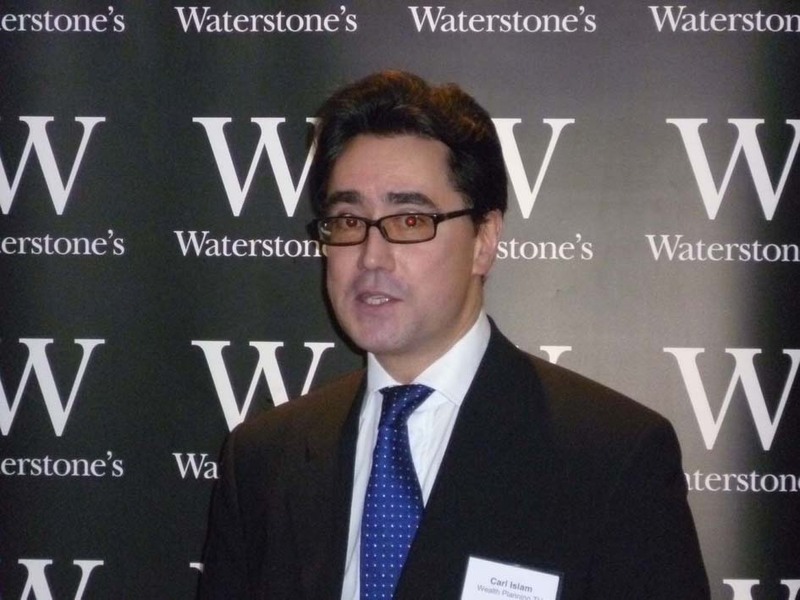 Futter and another v The Commissioners for Her Majesty’s Revenue and Customs, and Pitt and another v The Commissioners for Her Majesty’s Revenue and Customs (2013) (Supreme Court). Gabriel v Little & ors (2012). Mehjoo v Harben Barker (A Firm) & anr (2013). Day & anr v Day (2013). Joshi & ors v Mahida (2013). Paynter & anr v Hinch (2013). 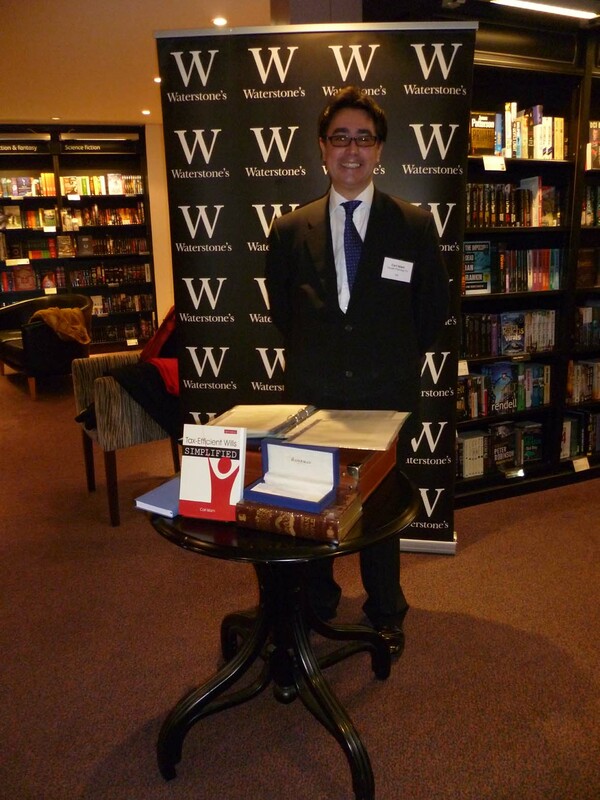 “Tax-Efficient Wills Simplified 2012/2013” was launched at Waterstones on Friday 7th December 2012. On Christmas Eve Amazon (based on its own internet sales) ranked the book 8 in the top 100 of bestselling books in the category of money and finance guides. [LINK]. ‘Primarily written for practitioners, this book will also help to demystify the [inheritance tax planning and will writing] process for lay readers. Packed with information and fully referenced to relevant current legislation and case history, the book will provide an invaluable reference for non-specialist financial advisors, lawyers, accountants, tax advisors, will-writers, private banks, trust companies, and family offices worldwide.’ (Publisher’s description). To read the Foreword to this edition of the book written by Nigel Eastaway OBE, please click on this link*. 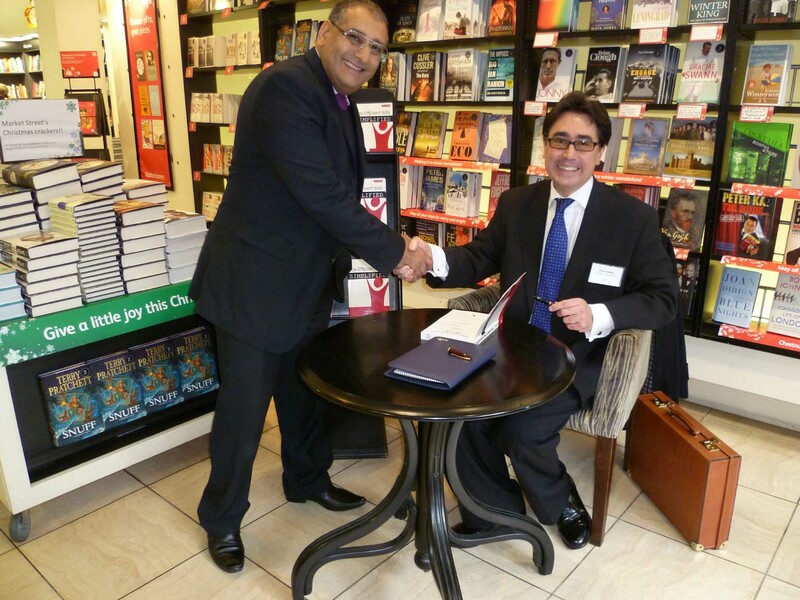 For photos, Amazon book ranking and live video from the Book Launch click HERE. “Tax-Efficient Wills Simplified 2011/2012”, published by Management Books 2000 Ltd (November 2011) (ISBN: 9781852526887), which is being sold by Amazon, Waterstones, and Wildy’s (www.wildy.com). Also published as an e-book available from the e-portal at www.mb2000.com. “Tax-Efficient Wills Simplified 2010/2011” published by Management Books 2000 Ltd (November 2010) (ISBN: 9781852526382), which is being sold by Amazon, Waterstones, and Wildy’s (www.wildy.com). (Extract from the first review of the book written by Paul Davies of Lane-Smith & Shindler LLP for Trusts and Estates Law and Tax Journal). Ranked as a bestseller by Amazon in the top 100 of personal finance books (16.04.2011). “Tax-efficient wills” published in Taxation Magazine (by Lexis Nexis Butterworths) (March 2008). http://www.taxation.co.uk/taxation/articles/2008/03/05/6100/tax-efficient-wills. http://www.lnbconnect.co.uk/Taxation-Magazine/Page-4.html. “Thin edge of the wedge (Part 1)” published by Euromoney in Project Finance Magazine (July 2001). The adjudication of power project disputes in the aftermath of ABB Zantingh Ltd v. Zedal Building Services Ltd. http://www.projectfinancemagazine.com/Article/2416435/Thin-Edge-of-the-Wedge-Part-1.html. “Les effets de la directive communautaire sur la responsabilite du fait des produits sur l’introduction d’une instance au Royaume-Uni” (how to bring a product liability claim in England).Revue du Marche Commun. No325 mars 1989: 176-179, cited on the United Nations Biographic Information System. “The inviolability of diplomatic and consular premises.” The Law Society Guardian Gazette 29th June 1988, Vol.95. http://www.lawgazette.co.uk/news/the-inviolability-diplomatic-and-consular-premises. Cited in Wikipedia August 15th 2012 LINK. Text version available HERE. “The article was very helpful for getting our heads round a law we didn’t know existed until last night, so your work was put to good use.” Dave McMullan, Senior Broadcast Journalist, The Today Programme, BBC Radio 4 (15 August 2012). ‘Assange in limbo’ published by Eurasia Review News and Analysis 17 August 2012 (http://www.eurasiareview.com/17082012-assange-in-limbo-oped/). ‘Inviolability, Ecuador and the Julian Assange case’ published by World News Australia 17 August 2012 (http://www.sbs.com.au/news/article/1683425/Inviolability-Ecuador-and-the-Julian-Assange-case). ‘Inviolability, Ecuador and the Julian Assange case’ published by CNET Australia 17 August 2012 (http://www.cnet.com.au/inviolability-ecuador-and-the-julian-assange-case-339341162.htm). Roger Helmer MEP on Twitter:https://twitter.com/RogerHelmerMEP/statuses/236387473549299712. For further reading, please visit the Diplomatic Law Guide.